VALUE BUNDLE – It’s time to make a fashion statement with this fun kitchen, garden or craft table apron. 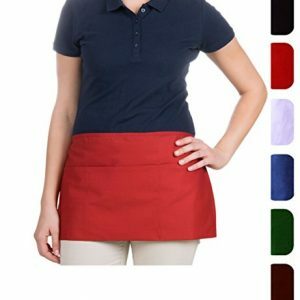 This pocket less, set of 2 matching color aprons are ideal for home or business use. 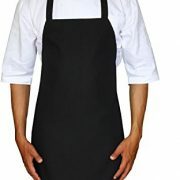 Utopia Wear Chef Kitchen Bib Apron will outfit you like a professional chef in your own home, restaurant, garden etc. With its tailored fit, Utopia Wear Chef Kitchen Bib Apron protects clothing with a flair for fashion, durability and comfort in the kitchen, bistro, garden, craft table etc. QUALITY AND SIZE – This is the ultimate apron with stay-in-place control for ease of movement, designed for functional use in the home or restaurant kitchen, garden or craft table use. Heavy-duty fabric is practical and long-lasting. 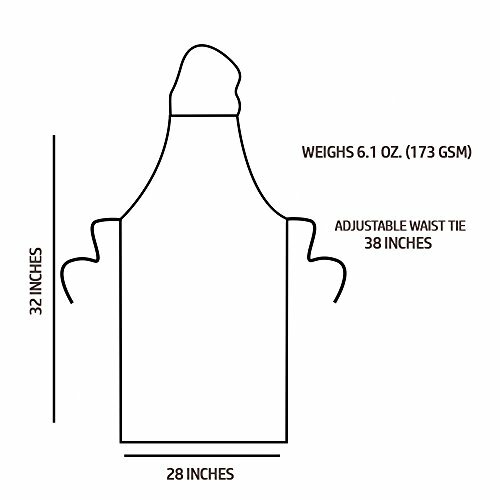 Each apron is 32″X28″ and weighs 6.1 oz. (173 gsm). 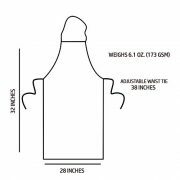 Made of 100% spun polyester with complementing trim; Utopia Wear Bib apron is long-lasting and comes with an adjustable 38″ waist tie. One size fits all. Each apron is easy to fit with adjustable ties. 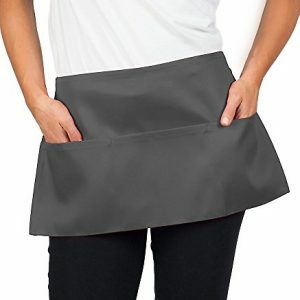 EASY CARE – These set of 2 commercial grade Bib Apron resist wear and tear because of heavy duty fabric which is practical, long lasting and is easy to clean and maintain. Machine wash warm with like colors, normal cycle with mild detergent; do not bleach; tumble dry low. Specially processed to resist shrinking. Perfect for restaurant, bistro, garden, home or BBQ use. 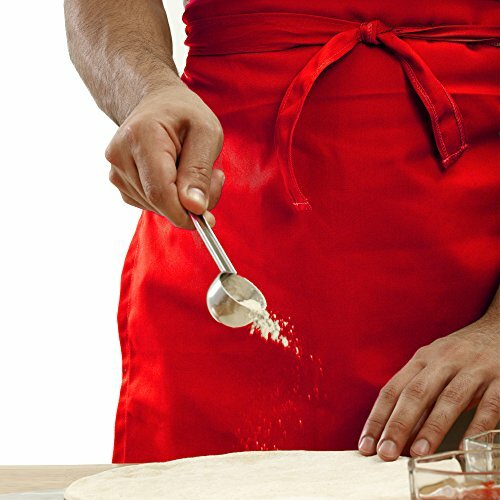 Get the most value for your money with Top-Rated Kitchen Aprons! 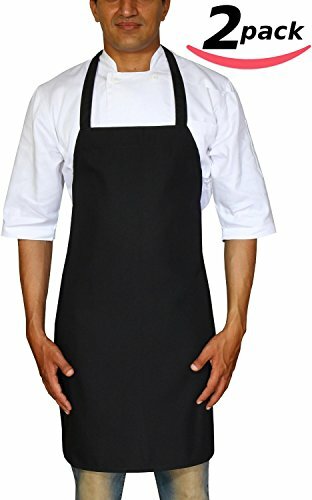 Utopia Wear Bistro-Garden-Craftsmen Commercial Kitchen Bib Apron is made with 100% spun polyester for durability and easy cleaning. 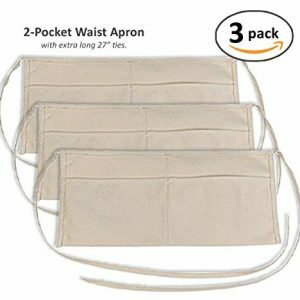 Each apron is easy to fit with adjustable ties, which can be tied in the front or back. Fabric stands up to multiple washes for easy care after use. Weight of each apron is 6.1 oz (173 gsm). 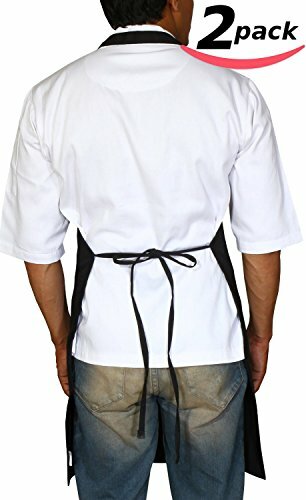 Enjoy the variety of these professionally made 100% spun polyester Bib Aprons in different colors. Professionally hemmed edges are carefully graded for quality control and product durability. Machine wash and dry. • 100% Polyester is tough and easy-care. If you are not satisfied with the Utopia Wear Chef Kitchen Aprons, just return it within 30 days for a full refund. No questions asked; no hassle. Scroll up to click the Add to Cart button. 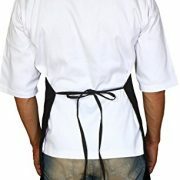 Utopia Wear Chef Kitchen Aprons shipped today. MULTIPURPOSE USE – Utopia Wear Bib Apron is perfect for yard work, garage sales, BBQ’s etc.! Ideal for home or restaurant kitchen, garden, or craft table use. No pocket on Bib Apron is ideal to for logo printing. The ultimate bib apron with lengthy strap comfort, enhanced functions and durability is perfect for the home, garden, craft table and restaurant use. MONEY BACK GUARANTEE- We think you’re going to love this Bistro, Garden, Craftsmen Professionnal Bib Apron as much as we do! 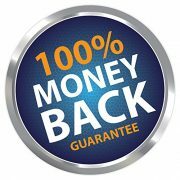 But in case you don’t, you are covered by our 30 day, no questions asked, money back guarantee. 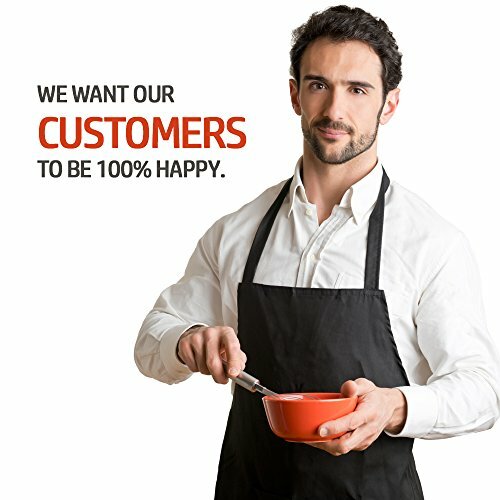 We want our customers to be 100% happy.